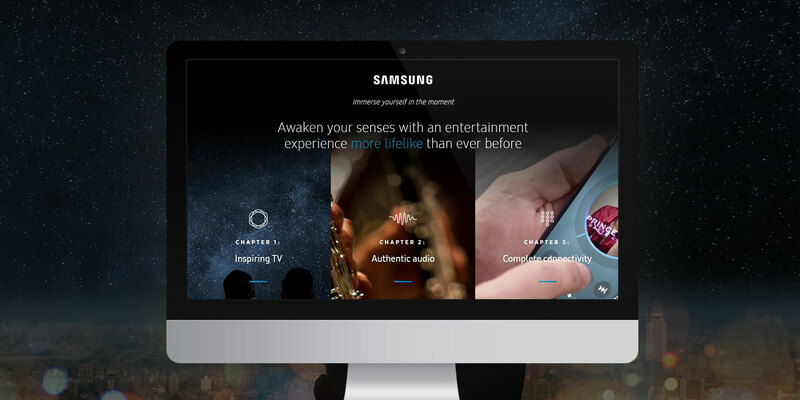 Putting Samsung shops within retail partners’ sites created an inspiring online brand space that also drives sales. 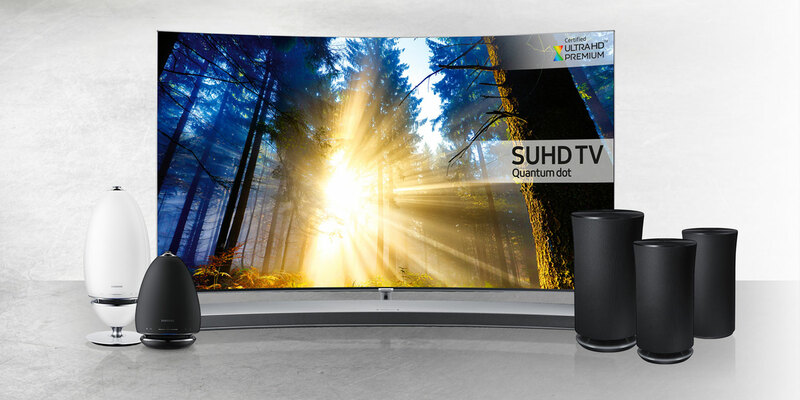 Independent retailers and high-end multiples, such as John Lewis and Selfridges, are essential retail channels for Samsung’s TV and audio technology. But with little or no control over the way a partner presented products online, the ability for Samsung to inspire, educate and drive purchase was limited. We realised Samsung needed a dedicated brand space. Focusing on young professionals & families seeking a connected visual and audio experience for their homes, our stylish and sensory shop-in-shop helped both inspire and drive purchase. 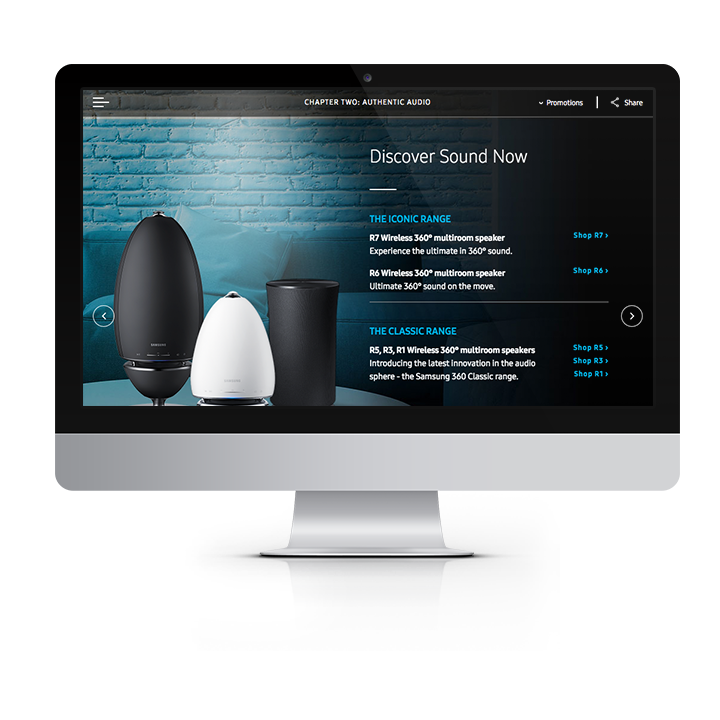 The Samsung Shop-in-Shop seamlessly integrated into the retail partner’s site, using two sales triggers to maximise its commercial effectiveness. Easy to navigate, the Shop-in-Shop was structured to create a seamless journey through Samsung’s technology and products. 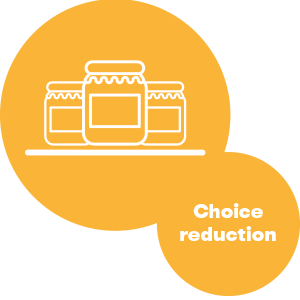 The Shop-in-Shop was bristling with functions to help facilitate purchase choice, such as ‘Perfect Match’. This coupled a TV with a shortlist of appropriate audio products, offering a tailored solution. An in-store demo could be booked, or a purchase made, from any page within the Shop-in-Shop and its remotely updateable to serve the latest promotions. The Shop-in-Shop is now live on over 50 third party partner sites. Due to the commercially sensitive nature of the sales data, we’re unable to share the results, however the Shop-in-Shop has delivered beyond all expectations.